Keith Street (pictured) has been appointed as chief commercial officer to The Mortgage Lender, subject to regulatory approval. 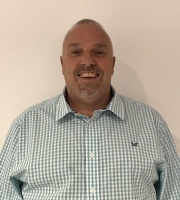 Reporting to deputy chief executive Peter Beaumont, Street’s new role will see him command the distribution strategy and the sales team, as well as provide input to marketing and product functions. Street’s CV surely needs little introduction: he has worked at TMB, Kensington Mortgage and the North View Group in over 20 years working in financial services. This new appointment comes on the back of the lender moving into the buy-to-let market and significant expansion within its marketing team. Which buy-to-let lenders hit the right notes in our latest ratings survey? Keith, Good to see you back. Retirement was never going to suit you! !